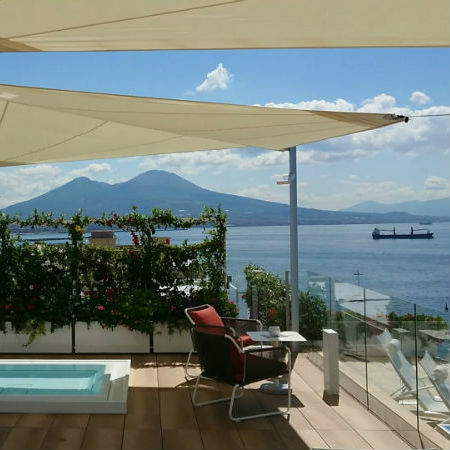 Wonderful Sky Lounge Solarium & Cocktail Bar, at 10th floor, welcomes guests of Grand Hotel Vesuvio with its incredible view over the legendary Bay of Naples from April to October. *Sky Lounge’s opening is subject to daily weather conditions and to closing for private events. La Vesuvietta Bar, located on ground floor of Grand Hotel Vesuvio, is open all year and offers a selection of pastries and cakes as well as delicious snacks. From January to March and from November to December La Vesuvietta Bar is open from 9.00 am to midnight. From April to October shorter opening hours apply.